Joint pain is one of the most common ailments in cats, and sadly, many suffer in silence. Felines are extremely stoic, and often disguise their discomfort as a means of survival. 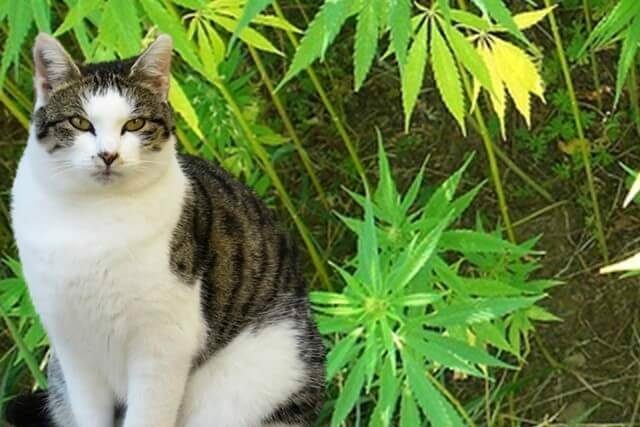 In this article we’ll discuss how to recognize the subtle signs of your cat’s joint pain and the many options you have to treat it, including all-natural CBD oil from hemp. What Causes Your Cat’s Joint Pain? Cats’ joints naturally degenerate with age. As the cartilage begins to wear away, the bones grate together causing inflammation and pain. In addition to normal aging changes, your cat’s joint pain may be a result of previous injuries, infections in the joint, or excess body weight. 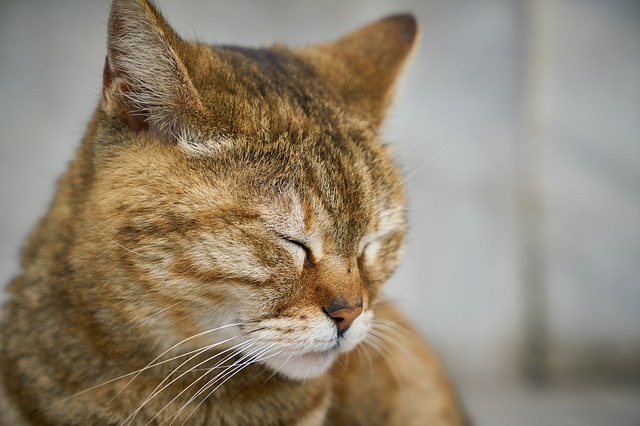 What Are The Symptoms Of Joint Pain In Cats? As mentioned above, cats are excellent at hiding their pain. While they will not come right out and ask for help, you may be able to recognize their physical and behavioral signals. Cats suffering from joint pain may walk with a stiff gait or favor one particular limb, especially after waking up. These cats are often less active and hesitant to perform physical tasks such as climbing stairs or hopping up on counters. If the litter box is difficult to access, some cats may begin urinating or defecating inappropriately throughout the home. Felines experiencing pain may find it difficult to rest comfortably, and shift positions often while sleeping. Those that once loved physical affection may become irritable or even aggressive when handled or picked up. As your cat’s joint pain worsens, he or she may also lose weight and muscle tone, become lethargic, or eat less than normal. How Can You Help Relieve Your Cat’s Joint Pain? Cats have fewer options than their canine companions when it comes to treating joint pain. Due to their unique physiology, many pharmaceuticals are not appropriate. Even the drugs considered “safe” for feline use often carry serious side effects. Corticosteroids are excellent at reducing inflammation, but can be hard on the digestive tract, cause weight gain, and leave your cat vulnerable to infections. Long-term steroid use carries even harsher side effects including obesity, diabetes, chronic urinary tract infections, and poor wound healing. Non-steroidal anti-inflammatory drugs (NSAIDs) such as Meloxicam, Gabapentin and Tramadol can also be rough on the GI tract, causing vomiting, diarrhea, poor appetite, and even behavioral symptoms. Long-term NSAID use may be dangerous for cats with renal problems. 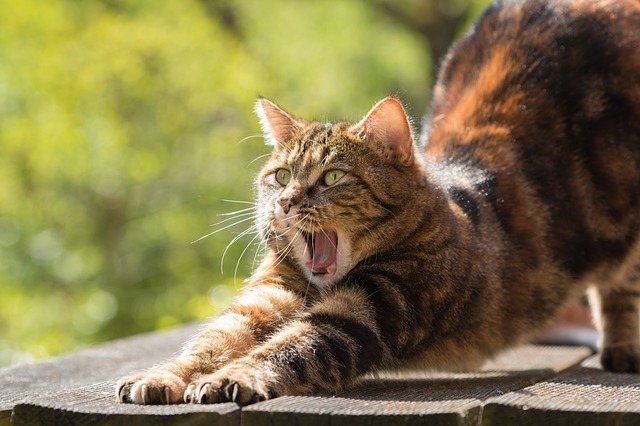 Due to the limited options and harsh side effects of pharmaceuticals, many cat parents choose to pursue natural treatments for their cats’ joint pain. Supplements containing glucosamine and chondroitin sulfate may help some cats deal with joint pain. Glucosamine provides the building blocks for the synthesis of new cartilage while chondroitin sulfate neutralizes destructive enzymes within the joints. Unfortunately, there is very little data regarding the efficacy of these supplements for cats. The information we do have is all based on studies of dogs and humans. Omega-3 fatty acids help reduce the intensity of joint symptoms like pain, stiffness, swelling, and discomfort. There is also evidence that Omega-3s may help increase blood flow to the joints. There is more available data for Omega-3 fatty acids and their ability to help cats with pain and discomfort. Due to their anti-inflammatory properties they are a welcome dietary supplement for cats battling joint pain. 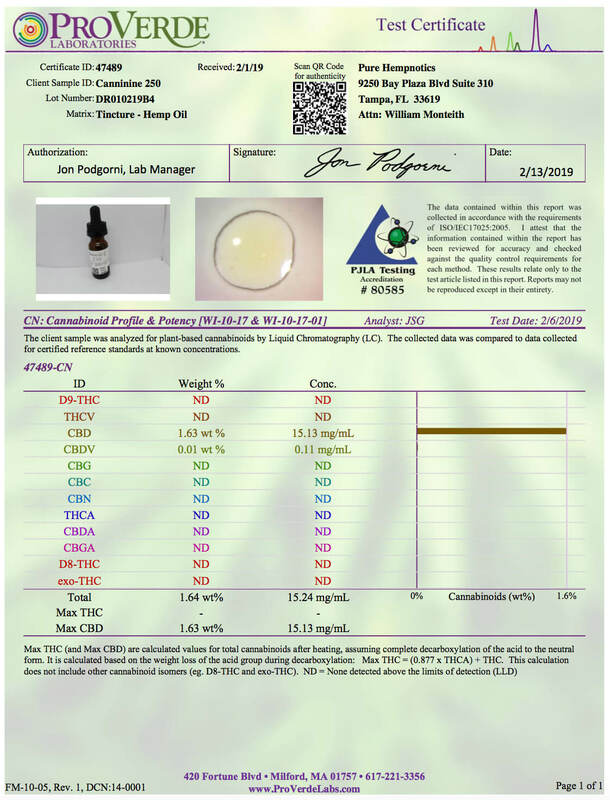 Cannabidiol (CBD) is one of more than 60 compounds known as cannabinoids found within cannabis plants. This natural hemp-based supplement acts upon endocannabinoid receptors throughout your cat’s brain, nervous system, glands, and organs. The endocannabinoid system helps control healing and wellness, as well as influence internal processes related to pain, mood, sleep, and immune function. Researchers from the University of London believe CBD may even be powerful enough to qualify as a new class of pain relief drug. 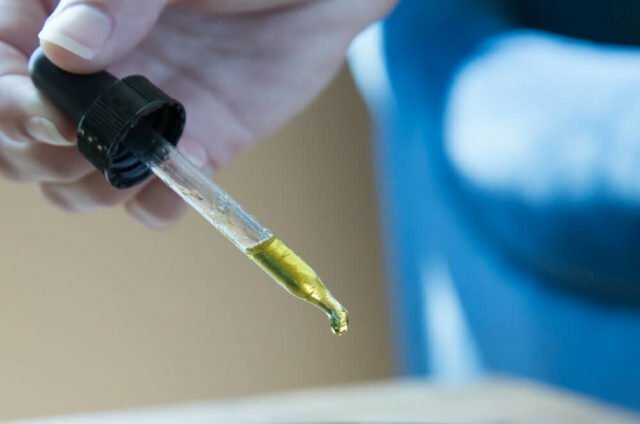 Most CBD oils contain trace amounts of THC (tetrahydrocannabinol), the compound in marijuana responsible for making you “high.” These products are considered safe and legal as long as the THC concentration is less than 0.3%. However, this may not be entirely true. Research shows that THC builds up in fat tissue over time and can leach into the blood stream. The only way to truly ensure CBD oil is safe for your cat is to choose a product that is 100% free of THC. Which CBD Product Is Best For Your Cat? Removing all traces of THC requires an expensive extra step in the manufacturing process. While most companies skip this step, eliminating THC is a top priority for Cannanine™ Organic Full Spectrum CBD Oil from Hemp. Formulated with cats and dogs in mind, Cannanine is also free of heavy metals, harmful bacteria, yeast, mold, and other toxins. View the Certificate of Analysis here. 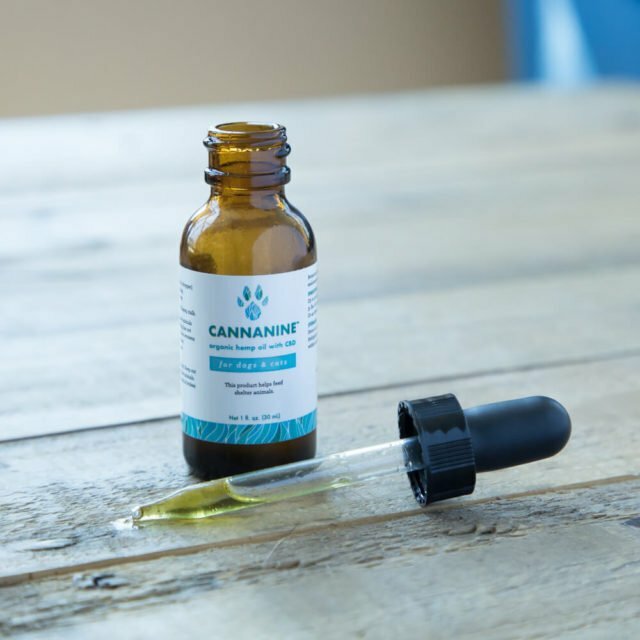 Cannanine is made from all-natural human-grade ingredients including organic Colorado-grown hemp to ensure safe, powerful relief from your cat’s joint pain.